Cool parents in Los Angeles — and beyond — probably already know about Au Fudge, the Jessica Biel-backed West Hollywood restaurant that's as enjoyable for them (by way of Cal-French cuisine and craft cocktails) as it is for their kids (by way of a monitored playroom). 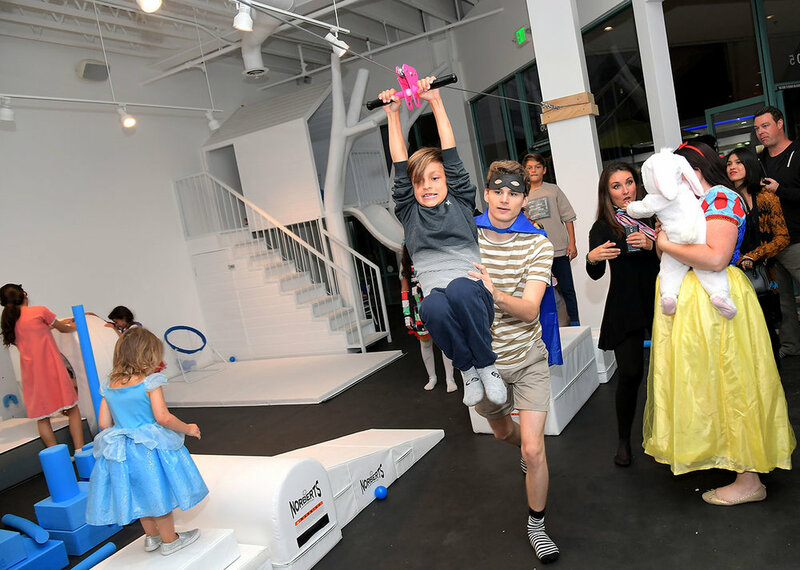 We've long been fans of the eatery's interactive, family-friendly events including movie nights, kids book releases, and yoga sessions for littles — which is why were are thrilled about the partners' new venture, Au Fudge CAMP. CAMP is actually an acronym for "center of art, music, and play," and that pretty much sums up what the destination aims to provide. 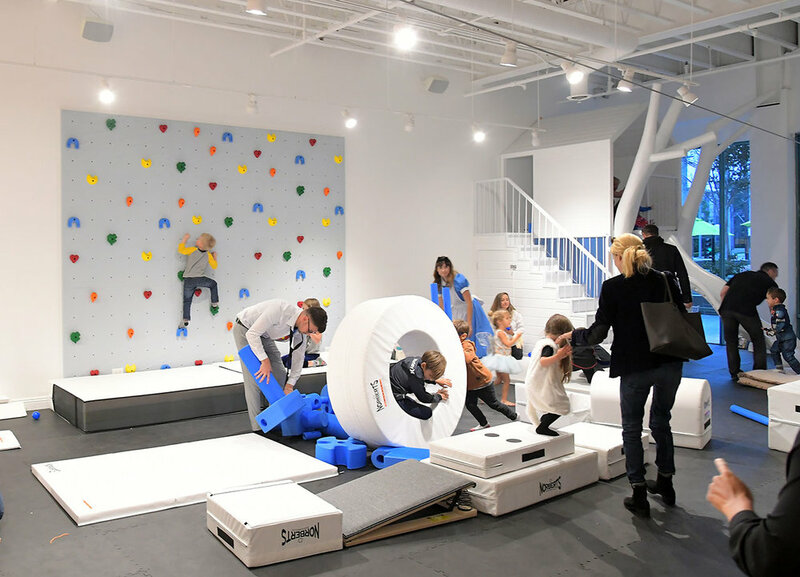 Parents can bring their kids to the modern but playful space, which boasts a colorful climbing wall, a child-friendly kitchen, a tricked-out treehouse, a zip line, and more, for any number of classes with the option of becoming a member (which starts at $99 monthly and goes up from there), or just dropping in ($35 or less, depending on if you're buying multiples). And with 20 classes a week, ranging from pottery and paper mache to hands-on earth science, your child has plenty of options to suit their interests or explore something totally new. And yes, you can book Au Fudge CAMP for birthday parties and other private events, complete with playground access, pro staffers and snacks. We're sold.